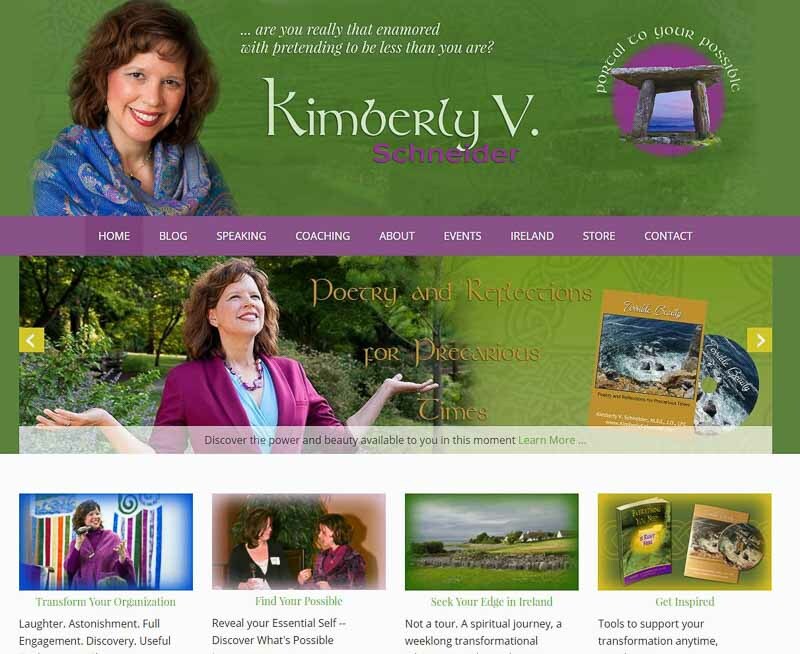 Kimberly was ready to re-brand her site and to have it converted from HTML (which she was unable to edit herself) to WordPress. She had a very active blog and many subscribers on her mailing list. The site design needed to reflect the Irish/Celtic culture and Kimberly’s unique style, which are often at the cornerstone of her offerings. A logo and custom header were created using imagery from Kimberly’s travels. A Shop page was created to offer her products for sale directly from her site. Subpages for product and event details were created. The theme was heavily customized for her needs in terms of color, fonts, widget placement and more. Headshots and some of the event photography featured were done by Web Medicine Woman. We completed the project with one-on-one training. An ongoing maintenance, security and backup contract ensures that the site is kept up-to-date and protected. Choosing the right person to create a website is an important decision for any solo entrepreneur. One of the biggest challenges is finding someone who combines technical expertise with an artistic eye as well as an understanding of marketing. Liz really did have the right “web medicine” for my business. Liz not only crafted a beautiful site that functions well, she also created a custom logo and helped me with rebranding. The new website consistently draws clients who are a great match for the unique services I offer. It could be hard to explain just what will happen when an organization brings me in for leadership training on the “6 Ps of Presence” or “Your Epic story,” or when a client hires me for a full day of Soul Retrieval Coaching. Once people go to my website though, they get it. That’s exactly what I was hoping for, and Liz made it happen. I am so pleased with the site she created for me.